At the National Air and Space Museum in Washington, D.C., visitors have the unique opportunity to experience what it is like to live on the International Space Station through a motion-based virtual reality model. 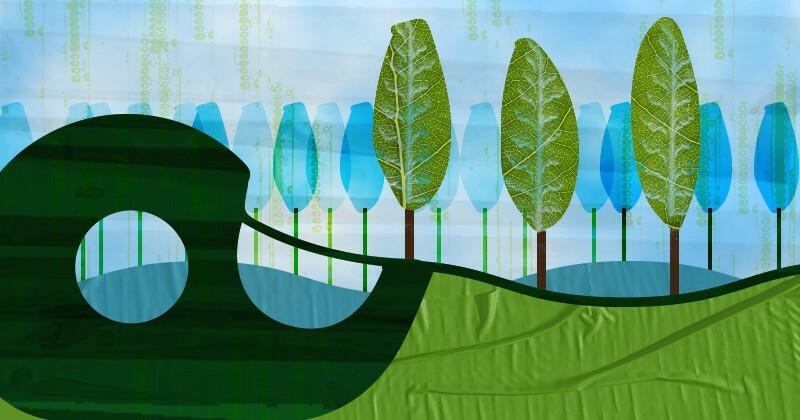 Similar to how we use models to mimic space, chemists and engineers use “model” compounds to mimic those found in complex feedstocks, such as waste wood pulp and other forms of biomass. These model compounds are well-developed and convenient, but they still leave us wondering: Can we make valuable products from actual biomass? For the first time, chemical engineers at the Catalysis Center for Energy Innovation (CCEI) Energy Frontier Research Center have taken on this question. They designed a catalyst and created the right conditions to turn lignin from wood pulp into pressure-sensitive adhesives, or PSAs. PSAs are the sticky materials that bind objects together, and they are often put to work in practical applications—labels, plastic wrap, even bandages. Lignin is a substance found in plants and trees. We usually discard it when processing wood in the pulp and paper industry. Lignin is an excellent starting material to make adhesive products. It is inexpensive, abundant, and renewable. In addition, lignin is a natural polymer, meaning it contains a large number of similar subunits, or monomers, bounded together. Because adhesives only require a specific subunit, lignin must be broken down through a process called depolymerization. Depolymerization occurs much faster in the presence of a catalyst than without one. In fact, chemical engineers at CCEI with expertise in catalysis have determined that ruthenium metal supported on carbon (Ru/C) is suitable for lignin depolymerization. In addition, Ru/C is commercially available. Once lignin has undergone depolymerization, another group of chemical engineers with expertise in studying materials adds designer molecules to give the depolymerized-lignin intermediate the appropriate structural properties found in adhesives. The engineers then “seal the deal” by stringing together the intermediate and creating a new solution. Cast the solution onto a 50-micrometer-thick sheet, and the adhesive is almost ready to go! All that’s left is to test adhesion performance. 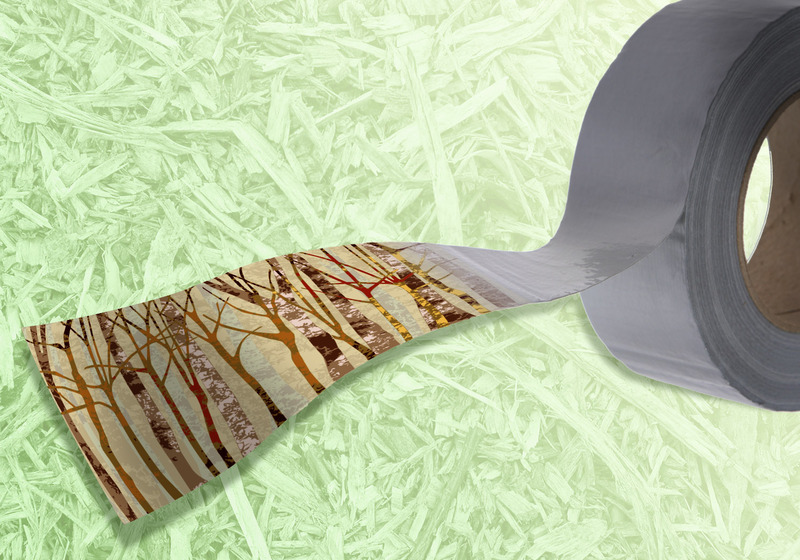 And as it turns out, these biomass-derived adhesives are just as competitive (and sticky!) as FisherbrandTM labeling tape and Scotch® MagicTM tape, demonstrating the practical significance of these biomass-derived adhesives. Seemingly impossible problems, such as making valuable products from actual biomass, are, in fact, possible, especially when researchers with different expertise collaborate. Furthermore, this work just goes to show the breadth of chemical engineering. Bioengineering, catalysis, materials—these are just a few of the cool areas you can pursue as a chemical engineer! The biomass deconstruction and monomer production work was conducted by L.S., B.S., and D.G.V. and was supported financially by the Catalysis Center for Energy Innovation, an Energy Frontier Research Center funded by the U.S. Department of Energy, Office of Science, Basic Energy Sciences. The polymer synthesis and characterization work was performed by S.W. and T.H.E. and was supported financially by a National Science Foundation grant to T.H.E. The University of Delaware nuclear magnetic resonance facility and solids analyzer were supported by the Delaware Center of Biomedical Research Excellence program with a grant from the National Institutes of Health. Angela Norton is a Ph.D. candidate in chemical and biomolecular engineering at the University of Delaware. She is a member of the Catalysis Center for Energy Innovation (CCEI) Energy Frontier Research Center working under the advisement of Dionisios Vlachos, director of CCEI. Her research focuses on studying how catalysts play a role in converting biomass to fuels and chemicals. Tape’s sticky adhesive is typically made from petroleum-derived chemicals. But what if there was a better way? What if the chemicals could come from industrial waste? Chemical engineers at the Catalysis Center for Energy Innovation (CCEI) Energy Frontier Research Center took on these questions. They showed, for the first time, a way of producing adhesives directly from lignin, part of wood pulp waste produced by the paper industry. The team’s method breaks apart the lignin into smaller units. They then added designer molecules to each unit. They attached the units together. Finally, they cast it onto sheets. Their plant-derived adhesive is just as competitive (and sticky!) as commercial tapes. The CCEI is led by the University of Delaware.